Bhubaneswar: “ATHLOS 2017”, the annual inter-college sports meet organized by SportsCom, the Sports Committee of XIMB-XUB, took place at Xavier Institute of Management, Bhubaneswar (XIMB) from 13th to 15th of October 2017. The tournament commenced with an opening ceremony, held at the Campus basketball court. The chief guest for the evening was Arjuna awardee cyclist, Mrs.MinatiMohapatra. Focusing on both indoor as well as outdoor sports, the tournament saw enthusiastic participation from eminent colleges and universities, including IIFT Kolkata, Vinod Gupta School of Management (IIT Kharagpur) among others. Team XUB were the winners of the Badminton Singles (Male), while the Runner Up trophy went to KIIT School of Management (KSOM). 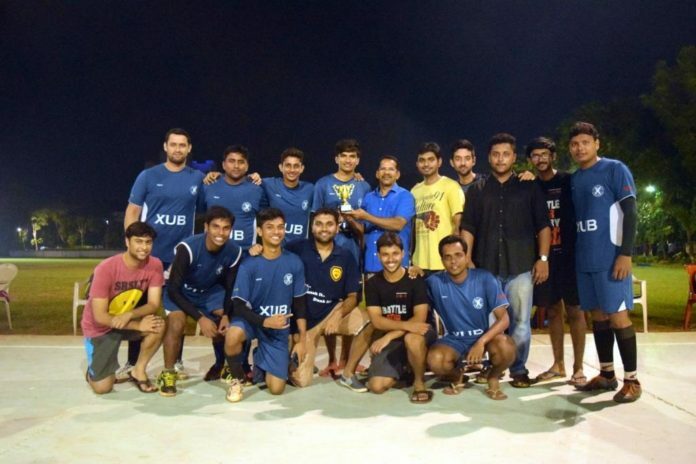 The teams from XUB won both the Men’s and the Women’s basketball, against Birla Global University, Bhubaneswar.The chess tournament was won by XUB, and XIMB-Alumni were declared as the runners up. In the final match of the cricket tournament, XUB won against BGU. 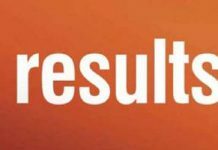 Adding another feather to its cap, in football, XUB secured a 2-0 win against IIFT-K. Team VGSoM clinched the winner’s trophy against IIFT-K in the Tennis finals. Team XUB were also declared as the winner of the Throwball game against BGU. The champion of Volleyball was team XUB, while KSOM came a close second. XUB won the Table Tennis (Men) match in the finals against XIMB-Alumni. XUB also won the Table Tennis (Women) match in the finals against VGSoM. The meet took place on the campus grounds, and celebrated the friendly spirit of sportsmanship among the student participants of the various business schools. The event was concluded by the award ceremony. The winning teams were awarded by Fr. Arockia, Asst. Registrar, Xavier University. “The event provided the best “grounds” for the culmination of the “Sports” of business and the “Business” of sports.”, said Shubhrajyoti Das, Coordinator, SportsCom congratulating the winners along with thanking all the participants and organizers . The event was supported by MRF as the Title Sponsor, Amruta as the Beverage Partner, Zoom Car as the Self-Drive Partner, PrintIconic as the Merchandise Partner & Oyo as the hospitality partner.